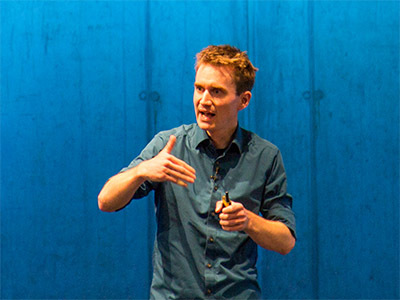 As a neuroscientist, biochemist and winner of the German Science Slam nationals I put science across. 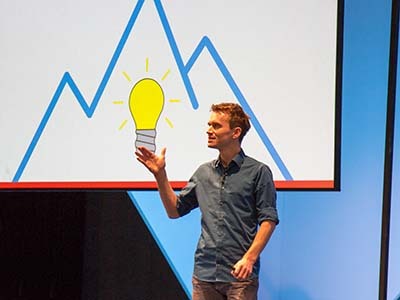 My award-winning talks and keynotes merge cutting-edge science and thrilling entertainment. My workshops feature the combination of biology and business and show what we can learn from the ultimate learning engine, the brain. In my books I get to the heart of current neuroscience. Pointed, intelligible and entertaining. In my books get to the heart of current neuroscience. Pointed, intelligible and entertaining. Neuroscience is exciting and too interesting to stay in the lab. I take a look behind the scenes of the most flawed but still most innovative structure on the world: the brain itself. 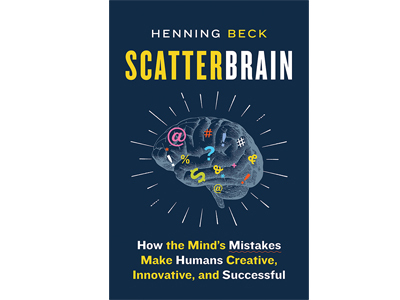 In a modern, fresh and vivid way, I transfer current scientific findings to our daily life and show how to use the brain’s tricks and shortcuts for better thinking. Whether it’s in popular science books, scientific articles or newspaper features, or on air via radio or TV: I explain the beauty of the brain so everybody can understand it. Don’t search for innovations! Attract them! Because unique ideas are already seeded in your company. Make use of this knowledge treasure and optimize the flow of ideas in your enterprise. The brain’s principles of processing information can be transferred to economic situations. This is what I do in my seminars and workshops – in order to optimize your knowledge management inspired by the brain. Because neuroscience is too exciting to stay in the lab, I’ve been publishing popular science books about the brain since 2012. Always first-hand science – but entertaining and eye-opening as well. 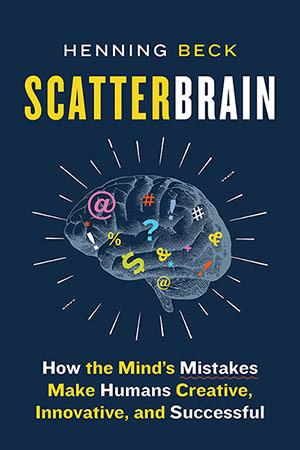 I usually present a counter-intuitive persepctive on the way we think – just as in my latest book “Scatterbrain” that shows how our cognitive flaws give us the ultimate edge. Because it’s the mistake in our thinking, not the perfection, that separates us from uncreative machines.